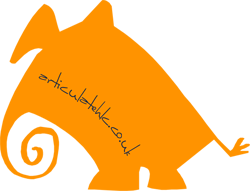 Articulate HLC is an Anglian-based, full-service, branding & creative agency. If you'd like to speak to us, you can click on the phone to instantly ring us from your mobile. Alternatively, you can get in touch with us via the form below. Articulate HLC will never share, sell or in any other way allow third parties to have access to your details without your express prior permission. And should you change your mind at any time and wish to have your details deleted from our database, just email to let us know, or click here to use our online delete request form. How did you hear about us SelectReferral?Social Media?Search Engine?Other?